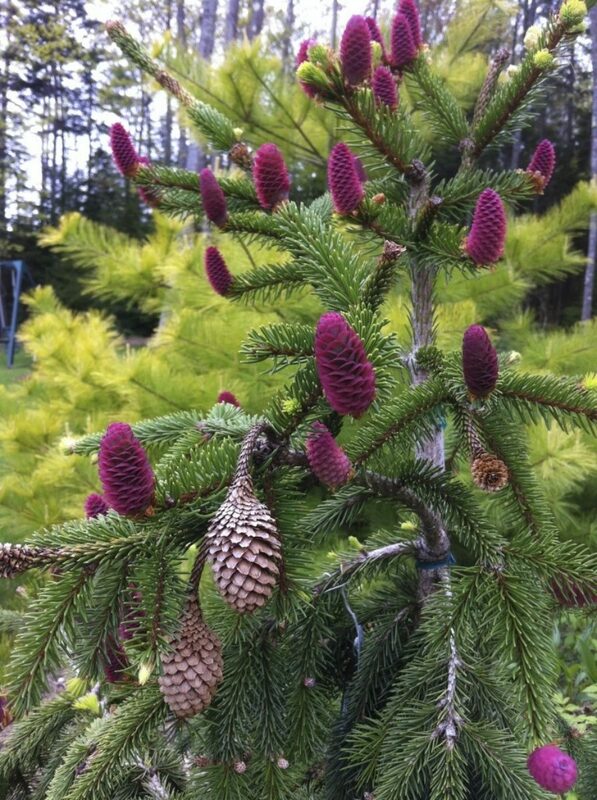 While most conifers exhibit some shade of green, these hues can change during the season in many cultivars. 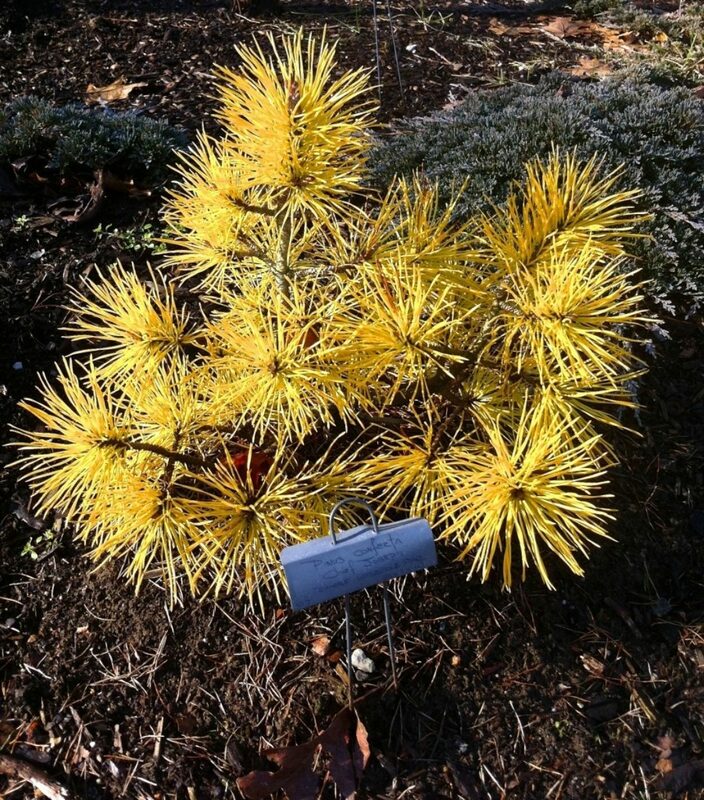 Some exhibit various patterns of yellow and creamy white variegation in their needles but the new growth, the bark and the cones provide other color interest. 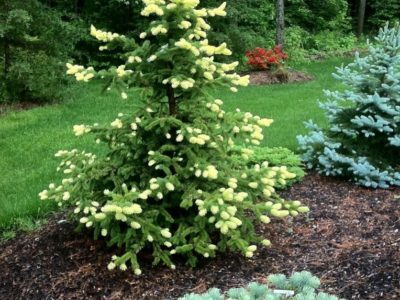 One of the great misconceptions that conifer lovers are constantly addressing with fellow gardeners is the fact that our trees aren’t just green. 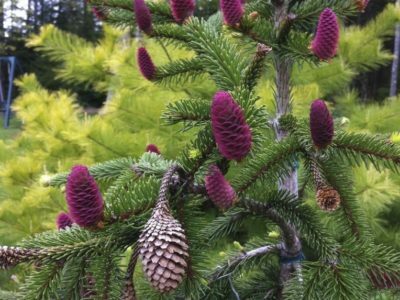 Garden conifers come in a rainbow of year-round colors that can be used effectively with companion plants. 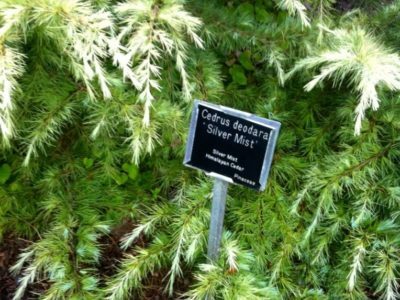 Many are shades of green, yellow, orange, blue, lavender or purple, while others are bicolor (two different colors on separate stems of the same plant) and have variegated foliage with patterns of stripes, spots and patches. 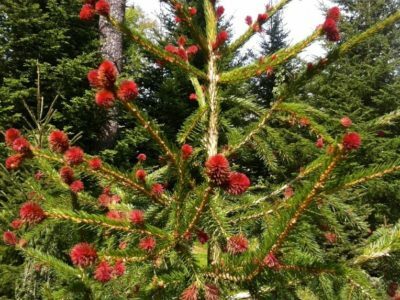 Many go through seasonal color changes and provide interest in the winter landscape. 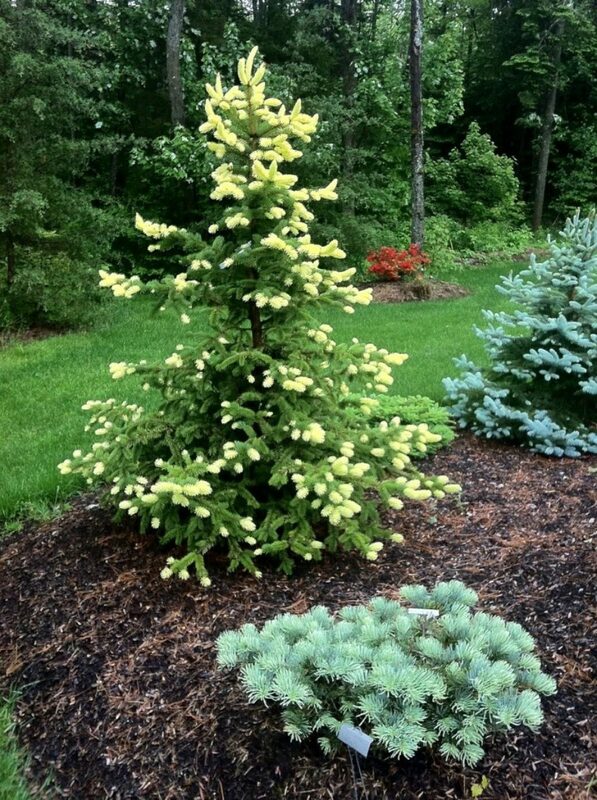 In the spring, lighter shades of new growth contrast against the darker older foliage. 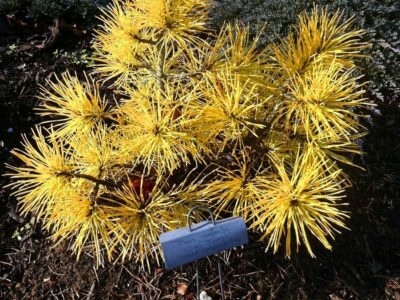 In some cases, new growth emerges not just as a lighter shade of green but as a bright yellow or red, rivaling any floral display. 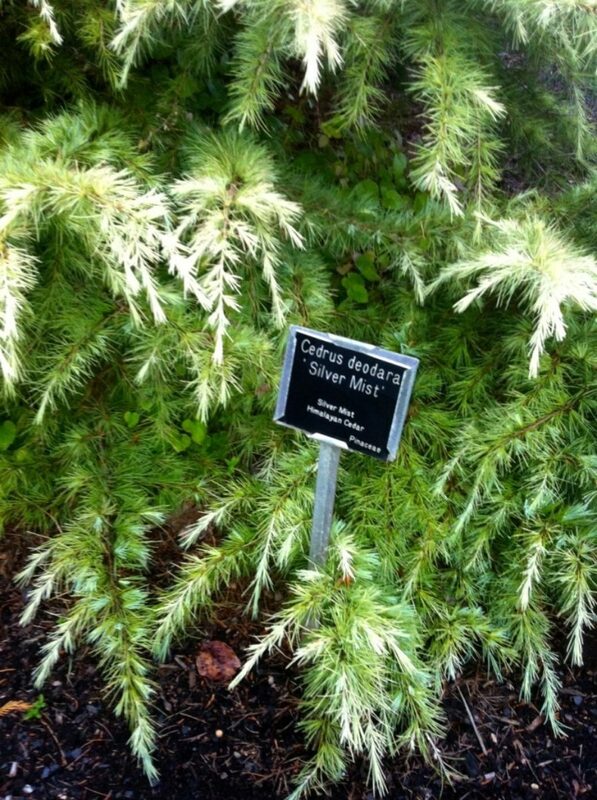 Some even display two colors on the same needle! 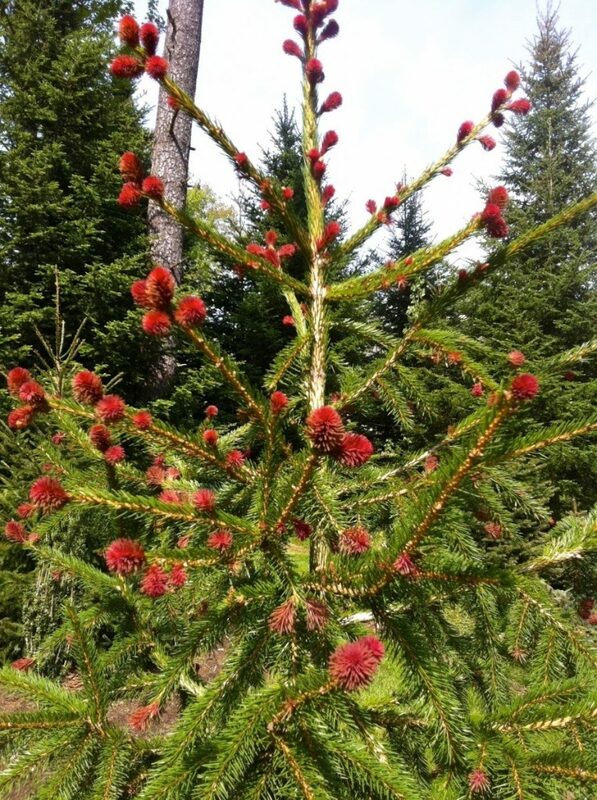 Still other conifers, exhibit bright colors in their cones and seed-bearing fruits providing additional decoration during certain seasons of the year.